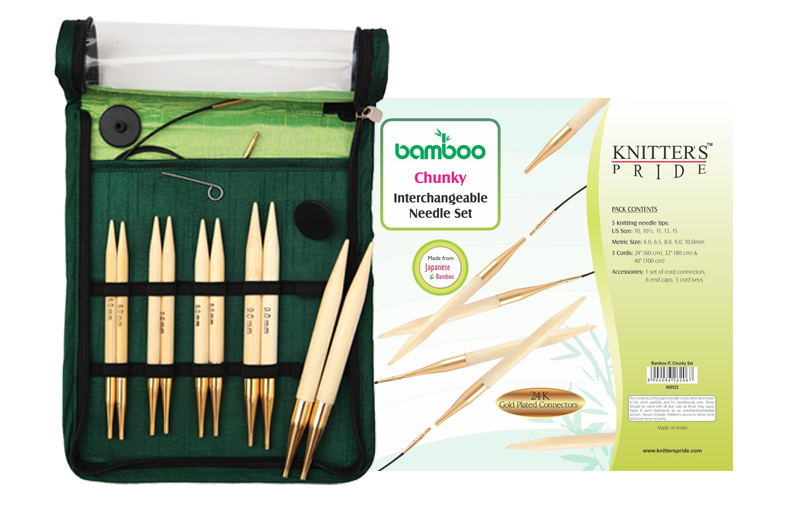 Knitter's Pride Bamboo needles are made from Japanese bamboo and feature 24K gold plated ferrules and connectors. These needles are lightweight, warm in the hand, and smooth. 5 pairs of tips in sizes US 10 (6mm), 10.5 (6.5mm), 11 (8mm), 13 (9mm), and 15 (10mm). 3 cords to make circulars measuring 24", 32", and 40". Packaged in a green fabric case with see through vinyl.